Provides selective filters by date range, folders, etc. Hotmail Backup application is capable of creating an archive of hotmail email files (now, Outlook.com, MSN.com, Live.com,). The software is designed in such a way that it efficiently takes backup of Hotmail email to hard drive successfully. All-in-all, it is an amazing backup tool. Multiple file formats are supported by the software during the creation of local backup of Hotmail email account. 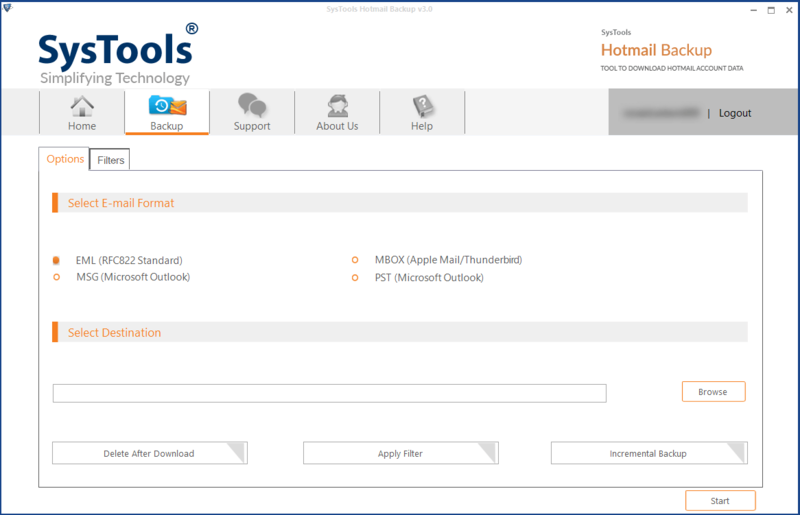 User can easily migrate from hotmail emails to Outlook PST, EML, MSG and MBOX. Thus, the resultant files are imported to the desired email clients in desired file formats. In case, user needs to switch to some other task, he can easily pause the backup process and later continue it as per his wish. The hotmail archive software is available with a pause & resume option so to control the live backup process. Any backup process can be paused in the middle and can be later continued by the resume option. Suppose the software shuts down in between the process of archiving hotmail email folders then, user can easily run it back from the exact same point where it was left. Hotmail Backup tool gives users an option to track record of incomplete history of backup. When the tool is restarted and user logs into the account, user easily gets to see partial history details and can even resume it. Before taking backup of Hotmail files and folders, user can apply different filters on it to archive selective data and not the whole thing. 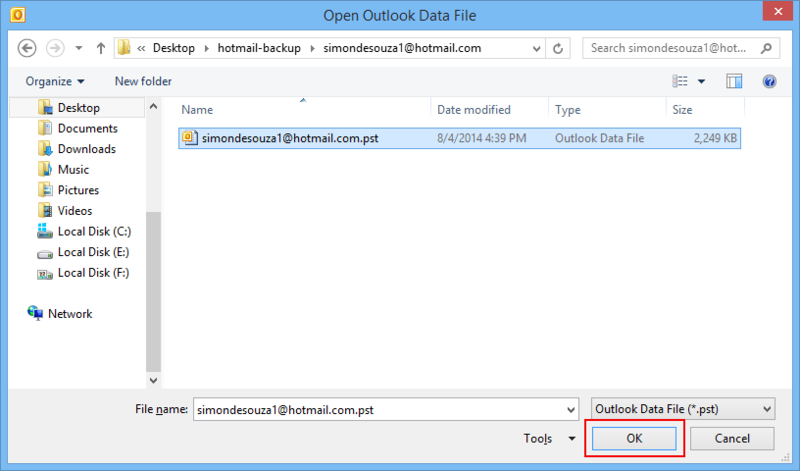 User can backup Outlook.com or selected email data to the local desktop. Moreover, user can also archive Hotmail email files for a particular range by specifying "To" & "From" date range options. The software keeps users updated with all the live progress information details, once user begins the hotmail backup process. The software screen will display details such as direct link of the destination folder path, status, rate of backup, count of items, current folder being backed up, percentage of backup processed, etc. The backup application offers users an option to clean up the account so that email storage can increase. 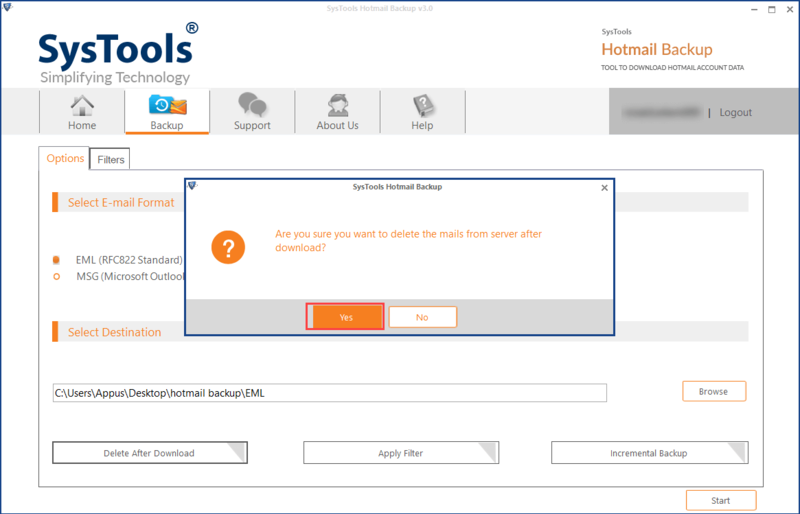 Hotmail archive email software gives an option, namely ‘delete after download’ so as to erase the archived data from the hotmail account after it is downloaded as an archive file. The backup process of hotmail email files entirely preserves the email header information. All the details of each email header like; To, IP details, From, Cc, Bcc, etc., are kept in their original form by this software while users create a local backup of the Hotmail email account. According to the user necessity, the consumption of internet bandwidth can be regularized. The hotmail archive tool gives an option to users to throttle internet bandwidth as per their needs. The desired bandwidth can be specified in Kbps or Mbps while user creates hotmail backup. 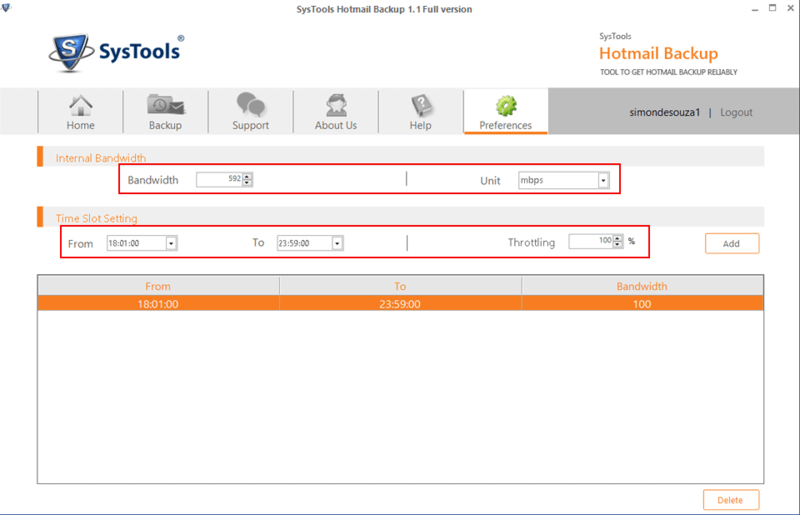 A time slot for a specific amount of bandwidth throttling can be set using this Hotmail backup tool. The time slot option lets users set a specific time duration in which the specified amount of bandwidth would be consumed while creating a backup of hotmail files. 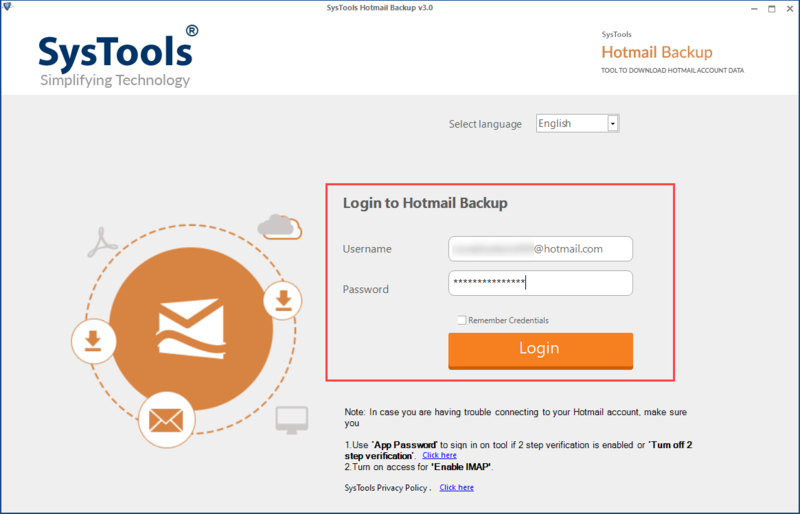 While creating backup of Hotmail accounts, the Hotmail backup software maintains the original status of emails. The original read/ unread status is retained in the backed up files and folders of Hotmail, no matter in which format. 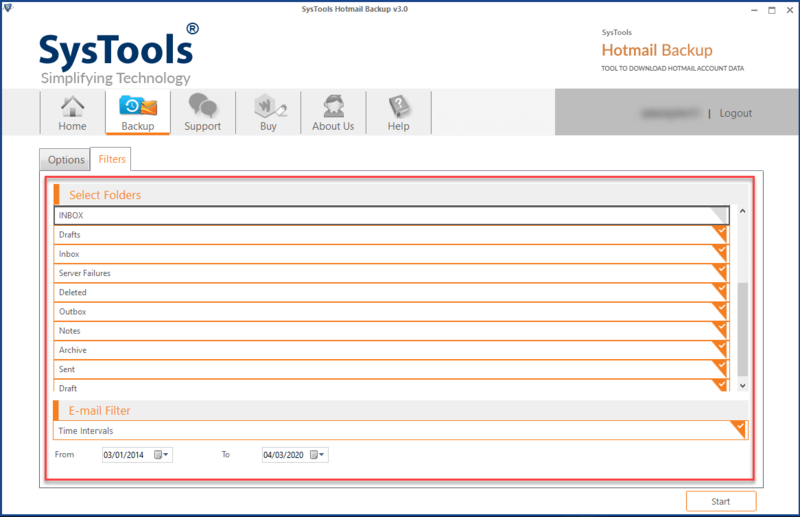 The hotmail email archive software gives options to set the language as per the user requirement. Six distinct languages are offered by the software. English is the default language but it can be changed to French, Spanish, and Japanese, German and Portuguese. Is there any limitation on the number of files that can be backed up using Hotmail email backup tool? No, there is no such limit on the number of files that are to be archived using Hotmail backup application. Is internet connection needed while backing up hotmail email files? Yes, proper internet connection is required while archiving email files of hotmail. However, if connection fails in between then, it can be resumed later by available options in the tool. 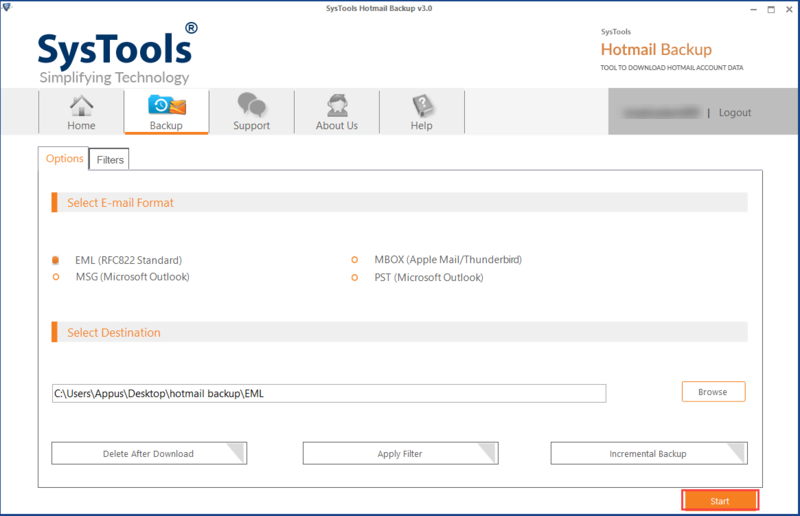 Is MS Outlook installation required for taking backup of hotmail emails? Yes, it is necessary to configure and install MS Outlook while downloading Hotmail backup files. 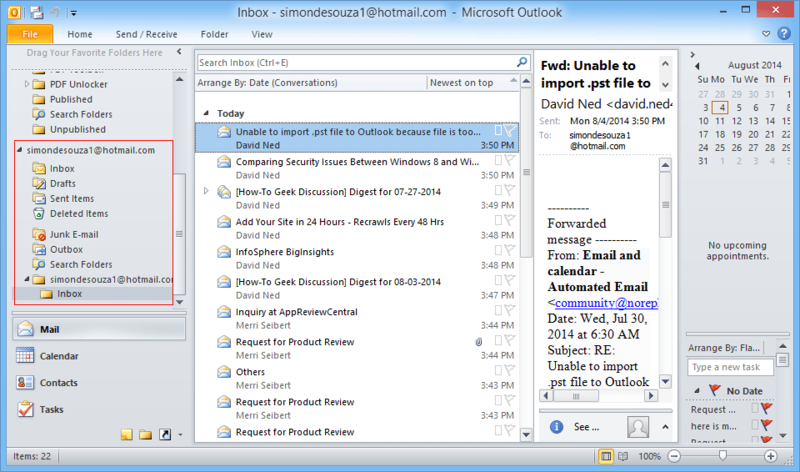 Outlook 2003, 2007, 2010 and 2013 versions are supported by this Hotmail archive email tool. What could be the possible reasons due to which my backup of hotmail account keeps failing? The possible reasons of failure could be the simultaneous logged into Outlook profile. 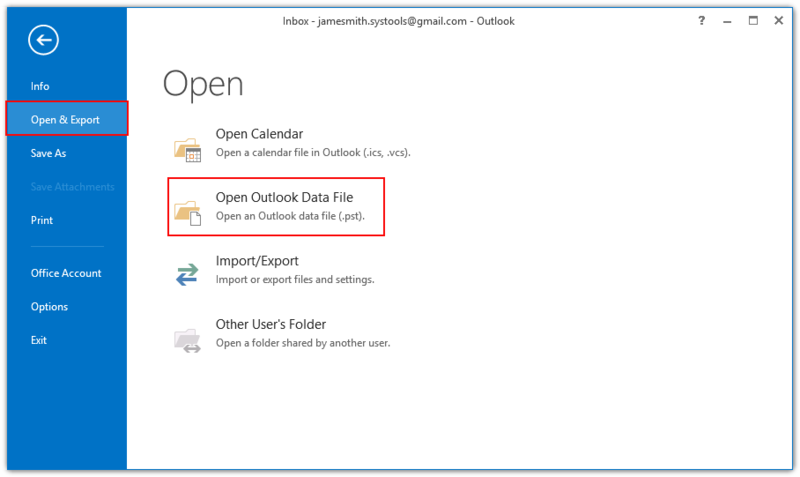 To avoid this, user should log out from the respective Outlook (hotmail) account, while it is being backed up. Is there a criterion to apply time-based email filters on this hotmail backup tool? Yes, there is a special feature to apply mail filters where user can set the date range while taking backup of hotmail data. 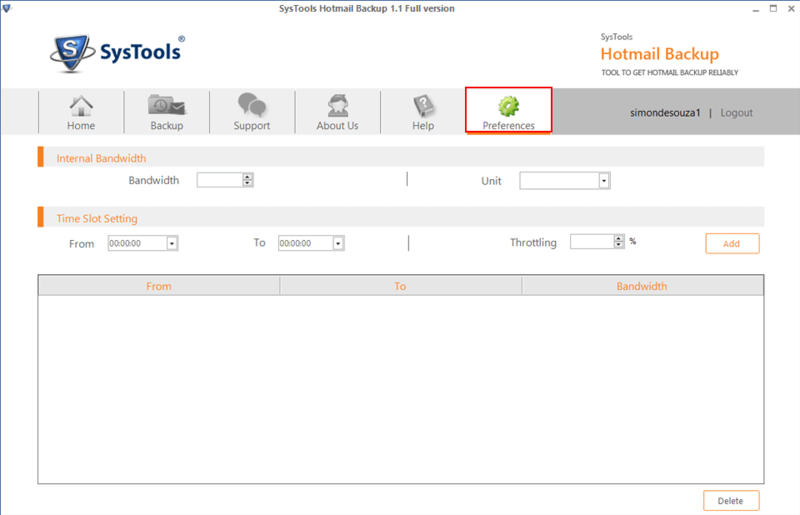 Download and launch the Hotmail backup software to archive emails of hotmail. Choose the language and enter username and password to log into the account. Now, start by clicking on Backup option and select preferred email file format. Then, click on Browse option to specify destination of backed up output files. Select delete after download option or apply filter option, only if required. Apply Filter, Select the folders to be archived and specify time range in apply filter options. Choose the Preferences option to set internal bandwidth and slots of time. Specify the bandwidth, time slot and % bandwidth then, click on Add button. After this, click on Start button to begin the backup process of hotmail data. 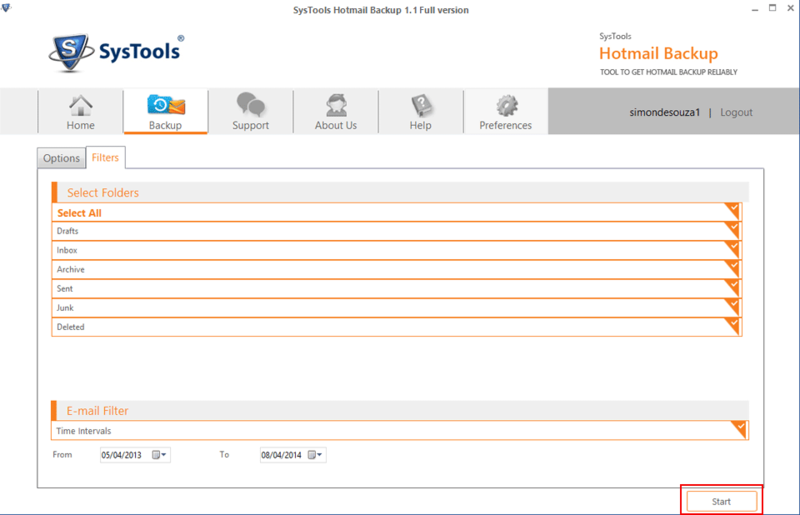 In this step, software will show the live backup process of hotmail account. Click OK on the pop-up message after successful download of backup files. Now, go back to previous screen that shows 100% completion of backup. User can now navigate to the destination location to access backup files. Now, select the PST file from its path location and click on the OK button. 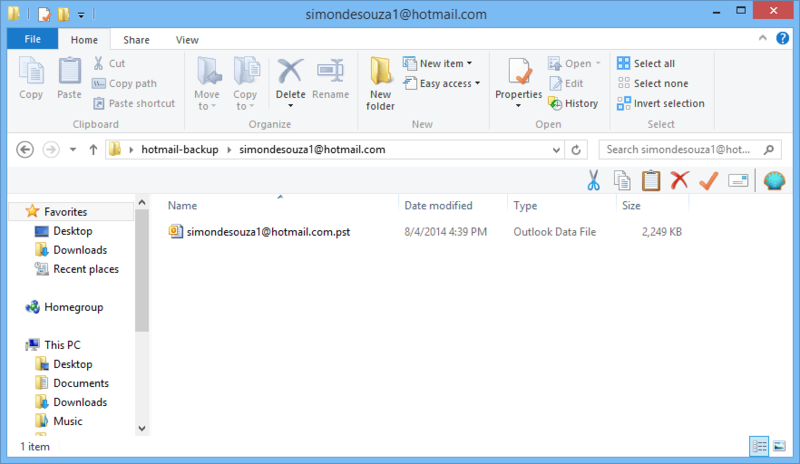 Finally, view added PST file in Outlook having hotmail email backup data. "I am really satisfied with the way this hotmail archive software works. I am just not a technical kind of a person but this software has immensely helped me helped me in migrating emails from Hotmail to Outlook 2007. Now, I have with me all the Outlook.com emails saved on my desktop. I want to convey my much thanks to this tool!" 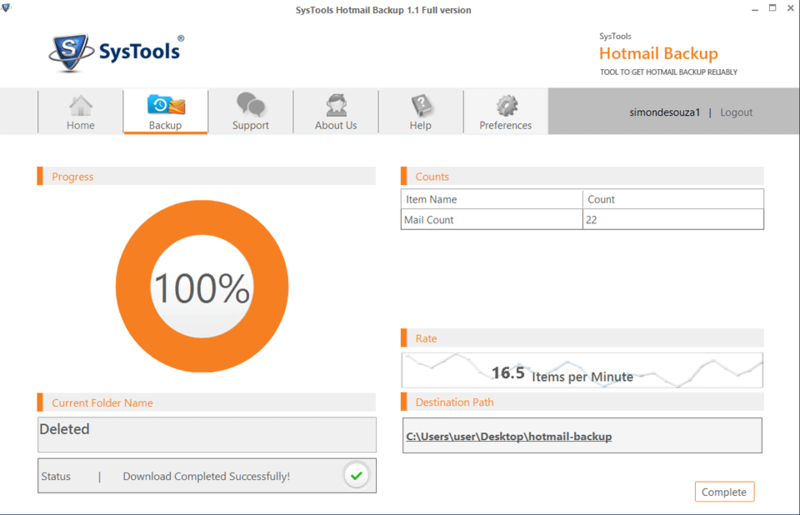 "Thanks to this Hotmail Backup tool, I have enough storage space even now. I made use of Delete after download option and it has left me awestruck. 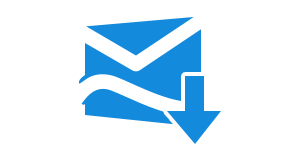 This tool is just so amazingly efficient in taking backup of hotmail email files that I have recommended it to my other colleagues as well."